Recently, I read the news that Frog God Games is releasing a new "complete" edition of Swords & Wizardry. Though I do not currently play any edition of S&W, part of me really wants to. So, in order to find out what this new "complete" edition was all about, I started searching around for reviews and ran across this lovely bit of fandom. This got me thinking about my own recent experience with Ye Auld Game and my attempts at exploring the roots of this hobby. This has primarily involved running my Lost Colonies campaign, which began as an experiment on two fronts. Firstly, I was interested to see what would happen if I introduced an older edition of D&D to a bunch of players who cut their teeth on 3.5. In this sense, the experiment has been wildly successful. The campaign has been going on for 18 months(!) and has outlasted three concurrent 3.5 campaigns played by the same group of players. In addition, several of these same players have started running their own older-edition games. Secondly, I wanted to reach back beyond my own experience to try and find an edition and a way of playing the game as it was somewhere in the late 70s. In this sense, my experiment has had mixed results. The campaign started with just the three core classes, and a few wrinkles based on the Chainmail rules. Both of these have long since been jettisoned. Something interesting happens on the way to the gaming table from the intellectual exercises that try to imagine a "purer" version of the game. In short, everyone at my table is more interested in having fun than adhering to some kind of rigid definition of what is "D&D." In process, we all gravitated toward that wonderful space that exists somewhere between the LBBs, Holmes, AD&D and B/X. Which brings me to the real point of this post. For a variety of practical and fiddly reasons, when I chose to begin this experiment, I opted for Labyrinth Lord as my ruleset. At the time, I saw it as a compromise with my players that I wasn't entirely happy with (mainly, because it didn't meet with the exacting parameters of my own intellectual exercise). This decision, however, has turned out to be a huge blessing. 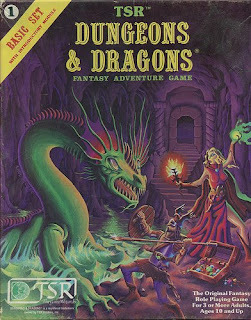 If, as has happened over the course of our play, by either design or by accident one wants to find that proto-D&D one might have played somewhere between 1977 and 1983 that shamelessly borrowed from the LBBs, Holmes, AD&D and B/X, Labyrinth Lord is a fantastic vehicle to get there. The genius of Dan Proctor's design is modularity. 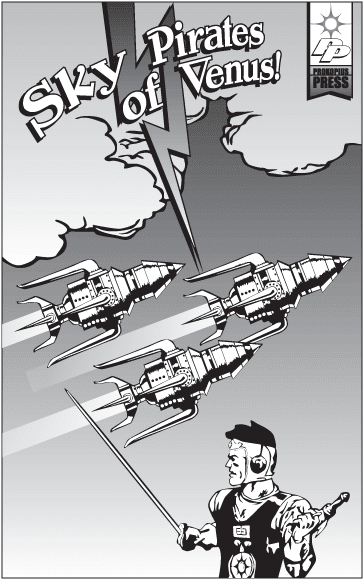 Taken together, Labyrinth Lord (LL), Original Edition Characters (OEC), Advanced Edition Companion (AEC), Mutant Future and even (hopefully soon) Starships & Spacemen offers a plethora of compatible options for a slew of different campaigns. It is a very easy matter to use the OEC Cleric with the AEC spell list as written. There is no need to convert anything, no need to house-rule this stuff — it is all there in black and white just ready for anyone to mix and match. In other words, LL is very capable of re-creating whatever version of D&D we old grognards played as kids. I know this because it is this proto-version of the game that has emerged from playing LL with my Lost Colonies campaign. I had almost forgotten what this proto-version was over the course of all these years since my mom came home from Target with the Holmes edition. LL not only made this kind of game possible, but easy to find. This session dealt mainly with the aftermath of the battle with the vampire. The players discussed how they were going to deal with the body of the dead vampire and their fallen comrade Tykris (correctly suspecting that if they didn't do anything with him, Tykris might come back to haunt them later). Their solution was actually kinda clever (and was independently thought of by two different members of the party). They cast Resist Fire on the wooden stake that felled the vampire and then proceeded to burn the body. Interestingly, the party has decided to keep the stake and return it to Fr. Valinor as a holy relic. A page from an otherwise destroyed and burnt book that evidently chronicled various events of the monks who once worshipped in the chapel. The three entries found on the page indicated that the lower levels of the dungeon where changing; that there were growing attacks from below by people in golden masks; that the monks had believed that they had destroyed something called the Well of Chaos with the Two Swords, though some were beginning to question the success of this endeavor; and that they were betrayed by one of their own who chose undeath. Behind the altar of the chapel was an icon of a saint wielding two swords; however, instead of there being a mosaic of the swords, there were two indentations where actual sword could be placed. Whatever swords these indentations might have held were not found. The doors of the chapel were sealed from the inside. When the party broke through, they found the remains of a battle between armed monks and people wearing golden masks. In turn, this battlefield was sealed off from the rest of the dungeon. The rest of the session, the party spent trying to find a way out (having gotten to this level via a one-way trip down an underground river). In process, three significant events happened. The party had a disastrous encounter with a golden-masked warrior who was leading a band of gnolls. On a tactical level, things broke down and spells were used in a manner that affected the party as much as they did the monsters. The worst affect was from a wand of fear, which caused the party to flee into three separate groups. While separated, I rolled a doppleganger for a wandering monster encounter. It went after the weakest group and managed to kill off Kavela the NPC magic-user before being killed itself. The party found a golden statue of a man in excruciating pain. When Dn. Goram held up his holy symbol to the statue, it changed poses into a man in peaceful contemplation. When Dn. Goram then went to touch the statue, he was Quested to find the Two Swords. They encountered a group of werewolves that they had encountered many sessions ago. In explaining that they had unknowingly re-entered territory they had promised to avoid, they found out some interesting information. It seems that the werewolves loyally serve a single faction of the gold mask wearers. Whereas they see their own cause as righteous, they find the other factions as fallen and corrupt. This cause seems to be the destruction of what they call The City of the People. These "People" once enslaved their masters. When questioned about attacks made on the monks who once lived in this section of the dungeon, the werewolves declared that they were merely "in the way." The party, especially Dn. Goram, were torn about this new information. They had an interesting discussion about what to do about the werewolves. They appreciated their desire to fight for freedom from slavery — they even admitted that such a cause was righteous. However, they were extremely uncomfortable with the idea that lycanthropy (which the werewolves claimed was a gift from their masters) could be used in a righteous manner. In the end, they chose to deal with this issue at a later date and allowed themselves to be escorted to a familiar part of the dungeon, and then found their way back to Headwaters. As a side note, we saw the appearance of one of our players who has not been able to play with us recently because of a schedule change at work. This spawned one of the most entertaining moments of the evening. When Ahkmed's player exhibited some of his elfishness, the party tried to explain what had happened in the weeks that the player had missed. It was here that Ahkmed earned a new monicker: the Dwelf. With the party still being obsessed with helping Ahkmed create his son, the discussion then went on to hypothesize what effect Ahkmed's Dwelfdom might have on his offspring. Yeah, he's that guy who was shot by arrows. Ironically, the arrows didn't kill him — those were healed by St. Irene. Eventually he was clubbed to death. 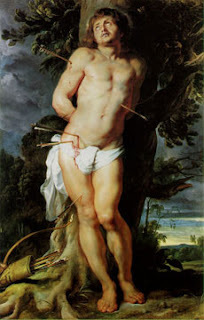 St. Sebastian is a military saint. He served as a captain of the Praetorian Guard under Diocletian and Maximian. When Diocletian realized he was a Christian, he had him bound to a stake and riddled with arrows. After being left for dead and healed by Irene, he went on to publicly berate the Emperor. He was rewarded for his effort with martyrdom. Given my relationship with St. Sebastian through art, my own background as a graphic designer and Mr. Raggi's recent rant about art, I thought I'd take a moment to reflect on what I feel is an essential part of the hobby: art. The visual medium is extremely powerful. Note how the very early drawings of monsters have affected the way they have been perceived within our hobby for decades afterwards. In my own case, the Japanese/Asia flavored Hobgoblins in MMI had a profound influence on the way the I perceived the culture, behavior and background of these humanoids in my games. This power can be both positive and negative. For example, take the painting of St. Sebastian above. As a child I found it grotesque and shocking (I still do — especially when compared to this). Instead of leading me toward God and His saints, it became a false friend that led me down a deep dark hole away from the Church. This view-point stems from an Orthodox theology of beauty. We do not just pray and worship with our mouths and our minds. We worship with our whole being — including the eyes. Beauty becomes a means of prayer. This is why Orthodox Christianity has such a rich tradition of iconography — these beautiful paintings are part of our prayer life. To put it in mundane terms, the purpose of art is to inspire, not to shock or titillate. Indeed, those things that do shock and titillate often act like a drug — what shocks and titillates today won't tomorrow or the next day. As time progresses, in order to shock or titillate we must seek out ever more grotesque and ever more depraved images. They lead us down dark and nasty holes. This, despite the plethora of grotesque and titillating images that have been with the hobby since its beginning. Please note: I am not saying that Mr. Raggi (or anyone else, for that matter) shouldn't be allowed to illustrate their gaming material with the grotesque and risqué. Indeed, I would argue that we are capable of using anything for good — it just so happens that some things are much harder to use in this manner than others. I would much rather have an axe than a sword if I were building a house, for example. I am saying that art that inspires (like all the covers people pointed to in response to James' post) will have a much longer lasting and positive affect upon our hobby and those who play it than the grotesque and risqué. Today is the Feast of St. Daniel the Stylite. The title "Stylite" comes from an unusual form of monasticism. It is the ascetic practice of living on a pillar. St. Daniel was encouraged from a young age to the monastic lifestyle by his parents and he willingly was tonsured at the age of 12 after running away from home in order to join a monastery. After many years living in a monastery and as an abbot, he met with St. Symeon the Stylite. 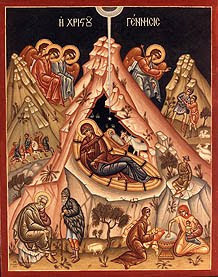 Moved, he asked the monk's blessing to follow his way of life; however, it wasn't until he was forty-two that he was visited by Symeon in a dream, where he was commanded by the great stylite to imitate his struggle atop a pillar. Known as a great healer, St. Daniel spent the rest of his thirty-three years atop one of three different pillars. I find this image of the stylite to be wonderfully exotic. It is so alien, and yet historical. What a wonderful way to add strangeness to the RPG fantasy world (or any RPG world, for that matter) — important clerics, monks or other figures of authority live standing on pillars. To add further strangeness, they could, like Daniel, be atop any number of pillars in different parts of the world. No one knows exactly which one is currently occupied, and no one ever sees the stylite move from one to the other. Such an encounter could very well end up being a series of wilderness adventures. Give the stylite a unique piece of information or a spell that the characters need. Then they have to travel to the one of the places where a pillar is, which may or may not be occupied. When the stylite is finally found, he could demand that the characters prove themselves worthy and send them off on another adventure. Then the whole process begins again. For those of you who are interested in mapping with geomorphs, Dyson of A character for every game has released a .pdf of 100 of his hand drawn geomorphs that he has been producing over the last year or so. It can be found here. In addition, Dave Millar has put together an awesome little tool to use these geomorphs and those of Stonewerks and Risus Monkey. Very good stuff. Many, many thanks. Kudos. This is great and very useful stuff. The party is in possession of three treasure maps, one of which Ahkmed is particularly interested in because it is written in ancient dwarvish. Ahkmed also wants to travel to "the south" to find the Elves to discuss his increasingly strange and strong relationship with his sword Hornet. Hamlen wants to translate a book written in the same language that is used on his sword Liberator, in hopes that it will help them understand the growing threat of the Masks (the Yellow Lady, for example). Dn. Swibish received a letter of summons from his bishop in Redwraith. Dn. Goram wants to find a manual on golem building so that he can make one. The party still is interested in getting Ahkmed to build them a Gnome. Hamlen wants to rebuild "his" bridge over the Dark River on the road to Trisagia. Despite all of these options, and despite a preference toward wilderness exploration, the party ended up going to the abandoned monastery to do some more exploration of the campaign's megadungeon. 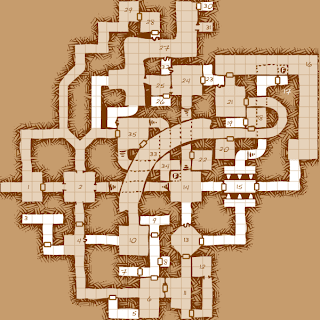 For the first time in the entire campaign, they decided to forego their usual route in through the Lower Temple and began to map out the monastery proper. Upon finding a well in the courtyard, the party totally committed to going all in, despite the fact that the source of water was an underground river. The trip in nearly killed several NPCs and the party found themselves in a part of the dungeon they had never been to, with no easy way out. This beginning was symptomatic of much of the evening, where several encounters with various types of vermin nearly killed off several members of the party. A combination of poor tactics, sloppy communication and just plain bad luck almost spelled disaster. So the party holed up in a room, spiked the door and regrouped, and just in time because they were about to find major trouble. Ahkmed found a secret door that led into some kind of temple or church. Bodies littered the floor. Upon inspection, they were all exsanguinated monks who wore vestments suggesting they had all taken vows of extreme asceticism. Dn. Goram cast a Detect Evil, and then things got ugly. They found a defiled reliquary with a stone sarcophagus, which Tykris and Hamlen tried to open. Suspecting a mummy, the party was shocked when Tykris was killed when a hand grabbed him and drained him of both his two levels. Kavella, the NPC magic-user, hit it with a Ray of Enfeeblement hoping that whatever it was wouldn't be able to remove the stone lid in order to get out. When the thing turned into a bat and flew out, every one realized just how dangerous a situation they were in. Fortunately for the party, the player's sloppy play was replaced by their usual brilliant tactics under pressure. They pulled out some stones with Continual Light cast on them to throw at the vampire, while Dn. Goram kept it at bay with both holy symbol and icon — during the fight, he even managed to turn it. When the dust settled (literally — they used black powder to blow up the sarcophagus in hopes of preventing the vampire from reforming if they forced it into a gaseous form), Hamlen had managed to shove a make-shift wooden stake through the thing's heart after only barely making his saving throw to avoid being charmed. They found the thing dressed in priest's vestments that had been defiled. As the session ended, Dn. Goram made a promise to himself and his brother that he would restore this place to its former glory. I was also pleasantly surprised by the discussion I had with the players prior to play. As I've noted before, all but one of the guys I pay with learned the game via 3.5 (the one learned from 2nd edition). Despite this, two of them have started Labyrinth Lord/1st edition campaigns. In addition, the GM I swap time with has declared that when his current 3.5 campaign comes to an end, he wants to start up a 1st edition campaign. Though I know better (as I am an active advocate of the older rulesets), I am still amazed at how resilient this marvelous game is. Today is the Feast of St. Barbara the Great Martyr of Heliopolis. She was the daughter of a wealthy pagan named Dioscorus. While building a bath house, he was called away. Taking advantage of this absence, she instructed the workers to add a third window to the project (in order to honor the Trinity). She also traced a cross on one of the walls. Miraculously, the cross was deeply etched into the stone as if by an iron chisel. Later, the waters of the bathhouse were said to have healing properties. When her father found out what she had done and why, he beat her brutally, tried to starve her and finally turned her over to the prefect. 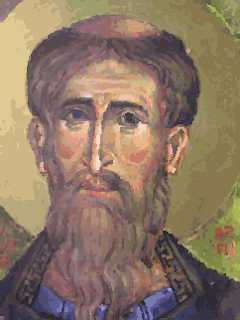 When further beating failed to turn her away from Christ, Dioscorus beheaded his own daughter. On the fourth of this month we commemorate the contest of the holy Great Martyr Barbara and her fellow Martyr Juliana. Juliana was a Christian so moved by St. Barbara's endurance in the face of torture that she started to berate those doing the beatings. She joined Barbara in her struggles and martyrdom. When I was in high school, the group I usually gamed with started a summer D&D campaign that I look back on with great fondness. It was one of the few times I got to play a magic-user and their were 11 players consistently at the table — yes, eleven players. We slowly discovered that all the strange and deadly occurrences happening around our home base were actually the lead elements of a massive demonic army that was breaking down the planar barriers between our world and one of the levels of the Abyss. Along the way, we had a recurring nemesis that kept harassing us on our various quests — an anti-paladin. It was highly entertaining, because we knew we couldn't go toe-to-toe with him, but there were enough of us that if we used unorthodox strategies we could live to fight another day. These strategies inevitably would result in the anti-paladin losing his newly acquired magic sword — most of which ended up being destroyed one way or another. When it came to the climactic battle as the party tried to close the portal that would allow the main force of the demonic army to step into our world, we met up with the anti-paladin for that last time. We didn't have time to fight the anti-paladin and close the portal. So, one of my friends decided to go toe-to-toe in order to allow the rest of the party enough time to close the portal. He did so expecting to die a glorious death and was thrilled when the blow that felled his character was a natural '20' with a vorpal blade. His death bought us enough time to deal with the portal and the anti-paladin. A good death indeed. However, when the dust settled, the DM granted everyone a boon for succeeding in saving the world. My friend's character was raised and this actually upset him. It rendered his sacrifice meaningless. Shortly thereafter, the campaign died. Personally, I think the most memorable character death I ever had (outside the hilarity of one-shot Paranoia games) was a guy who got enough powers-that-be angry with him (he was a revolutionary) that he got himself assassinated. I'd like to hear some other stories of good character deaths. What's your favorite? This saint was a noble from the city of Bythlaba in Persia. He was the beloved friend of Isdiger I, King of Persia (399-420). Though the King was hostile to Christianity, out of his desire to spare his friend, he lured James with gifts and flattery. The King was successful and James renounced Christ; however, the year that Isdiger died and his son Bahram V (421-438) came to power the rumor that James had become apostate reached the ears of his Christian mother and wife. They wrote him a scathing letter, declaring that if James had chosen temporal glory over the love of Christ then they wanted nothing to do with him. James was stunned and was brought to his senses. Tears of repentance poured from his eyes and he once again attached himself to Christ. Upon hearing this news, King Bahram (who also considered James a friend), following the successful actions of his father, tried to lure the saint with gifts and flowery words. St. James, however, was better armed for the fight and refused renounce his true King. Angered, Bahram condemned St. James to a brutal death. The Orthodox Church gives the title "Great Martyr" to those that suffered particularly nasty or prolonged deaths. St. James certainly qualifies. His body was dismembered one joint at a time. He survived having both his arms and legs cut off in this manner. Finally, he was beheaded in the year 421. This reminds me that until the rise of Islam, Christian Rome's biggest rival was the Zoroastrian Persian Empire. Zoroastrianism is a monotheistic (though dualist) religion. I won't belabor the point, but, contrary to the synchretistic and PC impulses of modern man to insist that all religions (especially monotheistic ones) all want to go to the same place, Christianity, Islam and Zoroastrianism are radically different. Now to the RPG stuff. The story of St. James reminds me that the concept of the Patron is often neglected (especially in fantasy RPGs). This is, in part, due to the nature of the source material where most characters in pulp fantasy were Grey Mouser and Fafhrd types who were tied to no one. When used correctly, however, Patrons can be exceptionally useful tools. Most obviously, they are a source for adventures. They can give characters "missions" that, if not over used, can serve as "palette cleansers" for normal dungeon and wilderness exploration. Patrons can also give life to the world beyond the characters. By representing their own agenda, they imply agendas that run counter to their own goals. Without much effort, this can lend depth to an otherwise sketchy world. Finally, this background noise can become a major campaign theme/conflict should the Patron disappear/die/get replaced. As you may have noticed, my output on this blog has been seriously lagging of late. Not that I am finding myself any less enthusiastic about this hobby or things that go on in the OSR. The time that I have had available for my hobby in the last couple of months has been short and I have simply chosen to use it for actual play rather than musing. It has been rather startling to discover how time consuming musing can be, especially when one doesn't have something rather specific to muse about. To this end I've been thinking — there are a number of blogs out there that have regular features that keep me coming back. A really good example is Grognardia. James has three regular types of posts: Open Friday, Retrospectives and Pulp Fantasy Library. It should be no surprise, then, that James has given me the inspiration for a type of regular post, which Blood of Prokopius has thus far lacked. Personally, I first encountered St. Cuthbert in B1: In Search of the Unknown, where he is mentioned in passing in the list of potential characters at the back with the cleric Tassit, the Servant of St. Cuthbert. The saint is also mentioned in Supplement 3: Eldritch Wizardry via the artifact the Mace of Cuthbert as well as in T1: The Village of Hommlet via the local church which is dedicated to him. I personally find it very interesting that T1 actually portrays a reasonable facsimile of a fantasy Christian setting. Hommlet is a mixture of those who follow the new religion (Christianity) and those who still cling to the old religion (nature-based paganism). Both are threatened by demon-worshipping members of the Temple of Elemental Evil. In fact, this is one of the reasons it is one of my favorite modules to this day. a stout, red-faced man, with a drooping white mustache and flowing white hair. He wears magicked plate mail. Atop his helmet is a crumpled hat, and a starburst of rubies set in platinum hangs on his chest...[He] hates evil but his major interest is in law and order and the dual work of conversion and prevention of back-sliding by "true believers." In reality, St. Cuthbert was a 7th century hermit and a monastic who eventually became the bishop of Lindisfarne, also known as the Holy Island. When he died, his relics remained incorrupt and were the source of countless miracles. He is known as the Wonderworker of Britain. 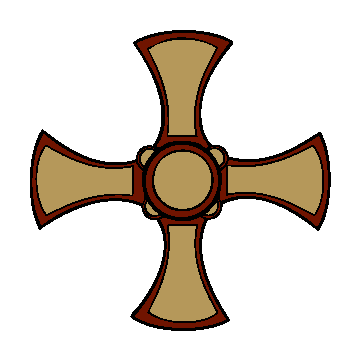 The aspect of St. Cuthbert that I find most useful for a fantasy RPG campaign is the context within which he lived. Lindesfarne historically functioned in much the same way as the Keep on the Borderland. Britain was conquered by Rome in AD 41. Christianity followed shortly thereafter — it was so well established, in fact, that there were British bishops at the First Ecumenical Council in AD 325. Rome abandoned its British colonies around AD 410. Shortly thereafter, pagan Goths invaded and conquered much of the island. Lindesfarne was the beachhead of the second wave of Christianity, trying to reclaim lost territory for civilization (where civilization is understood as Christian Rome and its successors). In other words, T1 need not be tied to Greyhawk, but could very well take place in a fantasy version of 8th century Britain. These two sessions have been some of the most gratifying I have had as a Referee in a very long time. The campaign seems to have turned a corner — I feel like the world that my players and I have been playing with has come alive and into focus in a way that it hasn't before. And all of this because of a few rolls on some random tables (a wilderness encounter and available scrolls and potions). After spending several days in Trisagia shopping and spending money on a variety of items that are unavailable in Headwaters and making arrangements with a traveling carnival to come and give the citizens of Headwaters a number of hard earned days of fun, the party headed back north to their home base. This journey requires crossing the very wide and deep Dark River. This was never much of an issue, because a sturdy stone bridge that has spanned the waterway since the first days of the colonies has always been part of the journey. However, this time, the party found the bridge destroyed by several large boulders. In the place of the bridge there now was a ferryman and his boat demanding a toll. The characters also noticed that flying patrol above the bridge were some mounted giant eagles and that there was an unnatural cloud formation some distance away. Hamlen tried to insist that the ferryman was trespassing on his road, but found that conversation with it was limited to whether or not he was going to pay the toll. A quick Detect Evil spell suggested that the thing wasn't human. Reluctantly, the party chose to pay the toll rather than endangering the carnival caravan they had in tow. Once well past the river, Hamlen personally payed the carnival to guarantee that they would stay an extra week (so that he could enjoy the festivities himself). The party then set off to rid "Hamlen's Road" of this new menace. The subsequent battle was quite harrowing because it was the first time that party was subject to an organized mass charge by an opponent. Had it not been for Kavella (the NPC magic user) and her Wand of Fear, the battle might have gone much worse. The riders (as well as the ferryman) ended up being undead, similar to those employed by the Yellow Lady. This added a sense of urgency to find the source of these creatures. Using their spyglass, they determined that the unnatural cloud formation was actually some kind of castle in the sky. Using one of their newly purchased potions, they flew up to the castle to investigate. What they found was the lair of a cloud giant in disrepair and neglect. Creatively using a variety of magic items, scrolls and spells they managed to figure out that the resident cloud giant had been possessed. After freeing him and his children, the party set off to hunt down the evil magic user responsible. The battle itself was brief. Hamlen had in his possession an Arrow of Magic-User Slaying which he managed to hit the evil magic user with. She proceeded to explode, leaving nothing behind but her golden mask. This moment was the only downer of these two sessions for me — I felt guilty for not killing off Hamlen, believe it or not, and thus cheapening the victory. The initiative resulted in simultaneous actions and the magic-user had time to get off one last spell. I knew that she could fry Hamlen with a Lightning Bolt and most probably end his days (he was sitting with 15hp at that point in time); however, the party was spread out over two rooms (a nasty magical trap forced half the party to hold back, lest the trap kill them) and she couldn't target more than one character. Had she known she was going to die, she would have done so, but she didn't. Thus, her last gasp was merely a Web spell. The players then proceeded to befriend the cloud giant who rewarded them with items from his treasury. He also gave them a ride back to Headwaters and the characters became the highlight of the carnival with a grand entrance on the back of giant eagles from a floating castle. The sessions ended on this high note. The reason I was so gratified by these two sessions was for a number of reasons. The random cloud giant encounter became a catalyst for several seeds that I have randomly thrown about to come to fruition — a fruition that would not have happened without the party making something more out of what I had planted. "Hamlen's Road": Hamlen's player has taken interest in making sure the trade route between Headeaters and Trisagia remain open and safe. He has lead to party to patrol the road on several occasions and has cleared to road of dangers more than once. This is the first time, however, that he has claimed this territory as his own. The end-game of D&D is coming into focus. The Cloud Giant: His treasure trove had several elvish items (randomly determined), thus indicating some type of relationship with the elves, who "come from the south." Golden Masks: After encountering a number of evil magic users wearing golden masks, the party is now determined to find out exactly who they are. One of the items they found hidden among the magic users stash was a book written in an ancient tongue, with more than a passing similarity to the tattoos that cover the magic user's bodies. Getting the thing translated is high on their priority list. Fame and Fortune: With the grand entrance at the carnival, the party has solidified their status among the peoples of Headwaters. NPCs that have attached themselves to the party have been treated extraordinarily well (if they survive) and this has established the reason for the attraction of followers during the end game. Headwaters is becoming famous, a place to do trade and is prospering because of the direct action of the party. When I started this campaign, all I really had was a couple of maps and a sketchy idea as to what the world was like. The interactive creativity of our group has produced something I never would have come up with on my own — and certainly nothing this satisfying. I realize that this particular project has not garnered a lot of comments; however, I am asking for feedback on this particular entry. As will become clear, this category requires a lot of interpretation. I don't know that I am happy with what amounts to a rough draft on this category, so I hope that those of you out there who bother to read this will help by chiming in below with your own point of view. Thanks. Affects humanoids. If successful, target is "completely under the influence" of caster until dispelled. Range = 12"
Sleep (1)Affects a variety of creatures depending upon HD. Max = 2d8 creatures of 1+1HD or less. Max HD affected = 4+1 HD (one creature). Range = 24"
Affects 1-4 persons (with a -2 to the save if targeting only 1 person) with a "greater effect" than Charm Person. Duration = 6 turns + spell caster. Range = 12" Cleric version has Duration = 9 turns & Range = 18"
Same as Charm Person, but affects monsters and charms 3d6 creatures of 3 or fewer HD. Affects 2d6 +1 per caster level above 8th. Causes affected creatures to randomly determine their action during combat. Targets with 2 or fewer HD are automatically affected. Targets with more HD must save every turn for the duration of the spell or be confused. Duration = 12 turns. Range = 12"
Affects only other Magic Users. Renders them "feeble-minded" until dispelled. -4 to the save. Range = 24"
Same as Hold Person, applicable to monsters. Similar to Geas, but the target will suffer a curse (determined by caster with Referee supervision) if the quest is ignored. Duration = until quest is complete. Range = ? Target must complete a given task. Ignoring the Geas ultimately causes weakness and death. Duration = until task is complete. Range = 3"
Remember that a charmed creature’s or person’s priorities are changed as regards to the spell-caster, but the charmed one’s basic personality and alignment are not. This allows for the possibility that though the victim may be "completely under the influence" it does not change the basic character of that victim. In turn, this allows for "greater effect" to mean changing aspects of that basic character (such as a survival instinct that would counteract freezing in the middle of a combat to allow an enemy to stick you in the gut with a sword). As exciting as this revelation is, however, there is very little mechanically that is consistent within this spell category. Sleep, for example, is over all mechanically more powerful than Hold Person (greater number of targets, greater range and potentially a greater duration). In turn, Hold Person is mechanically potentially more powerful than Confusion ("greater than completely under the influence" is more powerful than causing random behavior). 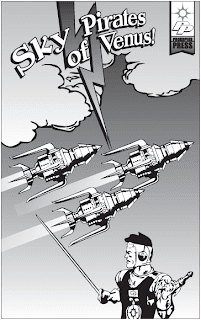 In addition — again mechanically — Quest and Geas are not that much more powerful than Charm Person. Although they grant some devastating consequences for not obeying, the enchantment comes to an end once one command is fulfilled. In addition, the targets are free to ignore the command (as long as they are willing to accept the consequence) and to go about the command in a disobedient manner. Charm Person is effective until it is dispelled. In other words, no matter what progression I choose to use for a Champion-style version of this category, it will little resemble the original source material. With this in mind, I am simply going to proceed with mechanics stripped out of the source material to create a base spell and largely ignore trying to duplicate that source material because it is largely an impossible task. Range = 3", 12" (18"), 24"
Special = saving throw penalties/automatic success, curse or withering death if command not followed. Base Spell: Target must make a save or be compelled to carry out one command by the caster. Target is free to carry out this command in a manner that reflects their basic personality and alignment. Duration = until the task is complete. Area Effect = 1 person of 4+1 HD or less. Range = 3". Target = humanoid. Duration = 6 + caster turns (and thus possibly more than one command). Some kind of withering disease or curse affects the target when they do not fulfill the command(s) of the caster. 6th level spell. Target must make a save at -4 (+2 levels) or be compelled to carry out a single command of the caster. If the target refuses, their Int will be reduced to 3 (+2 levels). Magic Users will lose all memorized spells. Duration = until task is complete. Area Effect = 1 person of any HD (+1 level). Range = 3". Target = humanoid. Again, please take the time to critique. I appreciate it. Limited teleport. Duration = instant. Range = 1". Move = up to 36" with no chance of misjudging. Opens a hole in solid rock. Duration = 3 turns. Range = 3"
There are two "types" of movement: axial (horizontal, vertical) which travels through various mediums (air, solid) and teleportation which instantly transports to a specific spot. This begs the question as to whether or not these should be two entirely different categories or the same category with two different base spells that share similar mechanics. Given that the latter allows for more mechanical variety (and thus more spell possibilities) I am going proceed with two different base spells. Using these mechanical progressions works very well with teleportation spells, but runs into problems with axial spells. Given these progressions Fly is a 4th level spell and Levitate ends up being a 5th level spell. The primary culprits are range and the necessity to differentiate the vertical only movement of Levitate. If the base spell is 0 level and requires at least one level-up purchase, this gets Fly to 3rd level. In order to get Levitate back to a 2nd level spell, the ranges of 1" and 3" must be eliminated. This, however, puts Pass-Wall at a 4th level spell. Frankly, I don't mind so much, because it is essentially duplicating Dimension Door with a different special effect. Base spell (teleportation): 1st level. Duration = instantaneous. Range = self. Teleport 6" with no chance of misjudging. Teleport anywhere as long as destination is known. Any uncertainty might result in death. 2nd level spell. Duration = instantaneous. Range = 1" (+1 level). Teleport 6" with no chance of misjudging. After a long and unplanned hiatus, I finally got back in the saddle and played some Labyrinth Lord this weekend. In some ways, the hiatus worked to my group's advantage, because Hamlen's player was very close to completing a task he has been planning for quite some time — getting Grak his prosthetic arm. The extra wait actually made him even more eager to get it done. The party had to find its way back to Headwaters, which they did after negotiating with the giant spiders they encountered at the river in the jungle they had lost themselves in. Of note, giant spiders in my world are intelligent, can speak and have a weakness for elf flesh. This, the players took advantage of and quickly got information as to the location of the "stinking rotten paladins" at Headwaters and then proceeded to feed the spider to "The Bag" as it is now referred to by the party (other wise known as the Bag of Holding with a dragon-kin inside). After re-orienting themselves, in was quite easy to follow the river into Headwaters. Unfortunately, the town was being attacked by an small undead army of skeletons, led by a wraith and a pair of tentacled undead the party had previously encountered underneath Trisagia's city of the dead. The undead split their forces and attacked the two main strongholds of the paladins — a keep and a watchtower. Dn. Goram also spotted a small group moving towards the Church. Suspecting that the main assault by the skeletons might be a ruse, the party split up. Dn. Goram and Hamlen went to help defend the tower and keep, and the rest of the party went to the Church in order to see what was going on there. Hamlen and Dn. Goram were able to fairly easily gut the main assault. Dn. Goram paved the way through the skeletons, automatically disrupting several a round with the help of some magic items, in order to free up his brother who charged the higher HD undead with his sword Liberator. In the meantime, the rest of the party (minus their two highest level members) found themselves face to face with a pair of ogres and a golden masked magic user interrogating Fr. Valinor, the local priest. Afraid that they did not have the ability to go toe to toe with these three foes, they set about doing a quick strike to free Fr. Valinor and then high tail it until bigger guns could be brought to bear (I was very pleased that "run away" had finally entered the vocabulary of our younger players). At this point I must explain an interesting quirk about this group. They have developed a very good relationship with Alidar, the local alchemist. They not only frequently buy potions from him but will bring him all kinds of oddities from their adventures in order to see if Alidar can "weaponize" them, as my players like to say. One such oddity resulted in smoke grenades which were used to confuse the ogres and the masked mage long enough to grab Fr. Valinor and run away. The party quickly found out that the true purpose of the attack was to get the Eye of St. Gabriel and the golden mask that (unknown to the assailants) had been stolen by Xerxes (and was now, as far as the party knew, inside The Bag). The party managed to trace the attackers back in the general direction of the abandoned monastery (and the megadungeon of my campaign). The party resolved to begin a serious expedition into its depths, as soon as they could re-equip themselves and take care of a few things left hanging from sessions past (like Grak's arm). Grak the formerly one-armed tribesman of chaotic crab-grafting humans from the Giant Insect Jungle (who is now officially a 1st level monk, using the AEC LL rules). A peg legged prostitute that is now going to be the main bar tender at Hamlen's tavern. Pups, the dire wolf who has given birth to three healthy pups. Other henchman have come and gone (and died) but no emotional attachment forms, unlike the devotion the party has shown for those in the list above. Also of note, Dn. Goram wants to make a golem and has begun a search for a manual to do so and the party has taken considerable interest in helping Ahkmed in building his son. When I began this campaign, I had not spent much time at all sketching out the Elves, Dwarves and Halflings of my world. Indeed, I left much of that work to be done by players who wished to play a demi-human. When my Dwarven player heard about James' Dwimmermount dwarves, he was really excited about the idea and ran with it. The fun part is that, although there are similarities, allowing my players freedom in creating the demi-human cultures has resulted in quite a few deviations from Dwimmermount dwarves — a big one being that Ahkmed has insisted that all dwarves are neuter and has played up his ignorance about how other races reproduce. This past session I mentioned in passing to Ahkmed's player that I have some specific rules for how to go about creating his offspring (using a variation on the work James has done with his dwarves). The party went absolutely nuts — they especially wanted to know (ironically, given discussions on this very topic over at Grognardia) if they could specifically try to make a gnome. All of this amused Ahkmed, but he seems more focused on saving his gold for a foundation for his stronghold — a revelation that I must say was surprising. Understand, Ahkmed's player is the newest to the game (his introduction to the game was my campaign along with a 3.5 campaign that runs when mine isn't in session); however, having read the rules about dwarves, the concept of the end-game sunk in. According to the rules (his words), he is supposed to build a stronghold in order to attract dwarves "from far and wide." Thus, he is already playing for that end game — I couldn't be happier. 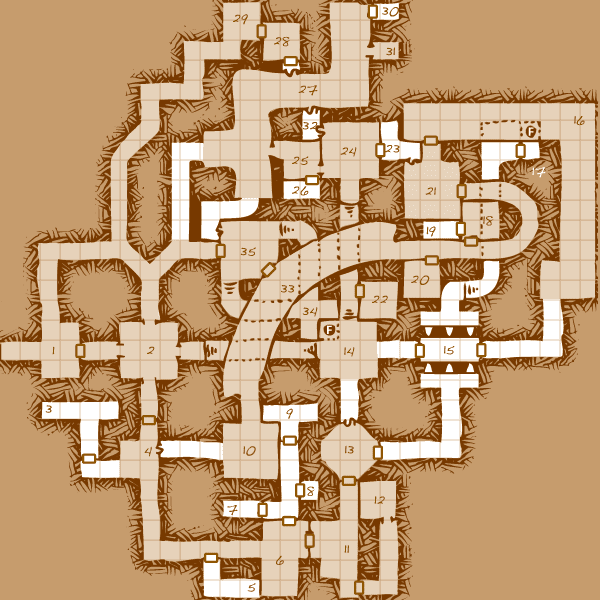 The session ended with a rather mundane, but productive re-exploration of the catacombs beneath the lower temple at the monastery. The party decided that they needed a much more detailed map if they were to do some serious exploring there. I was quite happy to oblige. The one significant piece of information they garnered from the new exploration is that all the bones that used to be inside these catacombs are now gone. I share this mainly because I find it to be so moving, but it does speak to the way I play RPGs in a round about way. This poem expresses my firm belief that all matter can be used to glorify God and be used in a positive and fulfilling way. Thus, the only way D&D and other RPGs are demonic and evil is if we allow them to be used in that way. I endeavor to give rise to a way of using and thinking about our hobby as an expression of my faith. Secondly, one of the more powerful memes found in this poem and in Irenaeus is the idea that God finds and creates strength in and through weakness. Is it any wonder that I love how the old-school style of play is so comfortable with player skill and character death? We test ourselves with randomness and the weaknesses that are derived from character generation systems that spit out "hopeless" characters. In these weaknesses we find our strengths as players and, personally, I find great pleasure in seeing a "hopeless" character grow strong and ultimately succeed.